Program Director: Stacy D. Saxon, Ph.D. Patient safety is an issue at the forefront of healthcare today. One in three patients admitted into a hospital suffer a medical error or adverse event – nearly 10 times greater than believed previously according to a 2011 study published in Health Affairs. The elimination of error and risk in our healthcare system can translate directly into improved care and cost reduction. The emerging field of Patient Safety is revolutionizing healthcare for the 21st century. The University of Illinois at Chicago offers the Master of Science in Patient Safety Leadership and two Graduate Certificate Programs: Patient Safety, Error Science, and Full Disclosure and Patient Safety Organizations. The Patient Safety Leadership (PSL) program is designed to facilitate dynamic educational opportunities in a learner-centered environment for both clinical and non-clinical healthcare professionals who desire to become leaders in patient safety and the delivery of quality healthcare. PSL students explore innovative ways to design quality patient care practices and develop a patient safety organizational culture. Learners will benefit from the focus on inter-professional teamwork, simulation training, communication and collaboration, medical error science, organizational change, and healthcare leadership. Graduates of the program will have the skills to design, implement, and lead a broad range of patient safety activities, including global transformation towards a culture of safety embedded in a just culture approach. The program courses are delivered 100% online asynchronously using the Blackboard Learning Management System. In the online environment, PSL learners engage in self-directed and team-based learning. 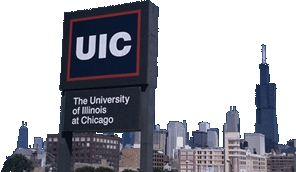 A three-day onsite residency requirement at the UIC campus provides learners the opportunity to practice and apply the tools and principles introduced in the preceding online courses, and to participate in active learning with cohort members in a face-to-face format. Continually improving the safety and outcomes of patient care through an inter-professional program of excellence in research and education on the causes and prevention of medical errors. Translating the knowledge gained from inter-professional research and education into improved patient safety and patient care outcomes. Sharing inter-professional patient safety research and improvements in patient safety and patient care outcomes through educational programs, bringing benefit to the people of Illinois and beyond. Detailed information about the program can be found at the UIC Online Web site at http://online.uic.edu.